Everyone around Greenfield has one thing in common - we love plants. So I thought it would be fun, here in the dreary Cincinnati winter, to ask around the farm about everyone's favorite plant to grow. Since it is my bright idea, I figured that I should go first. I am Suzanne and I work at the Greenfield Maineville Farm. My favorite is the coneflower -Echinacea. 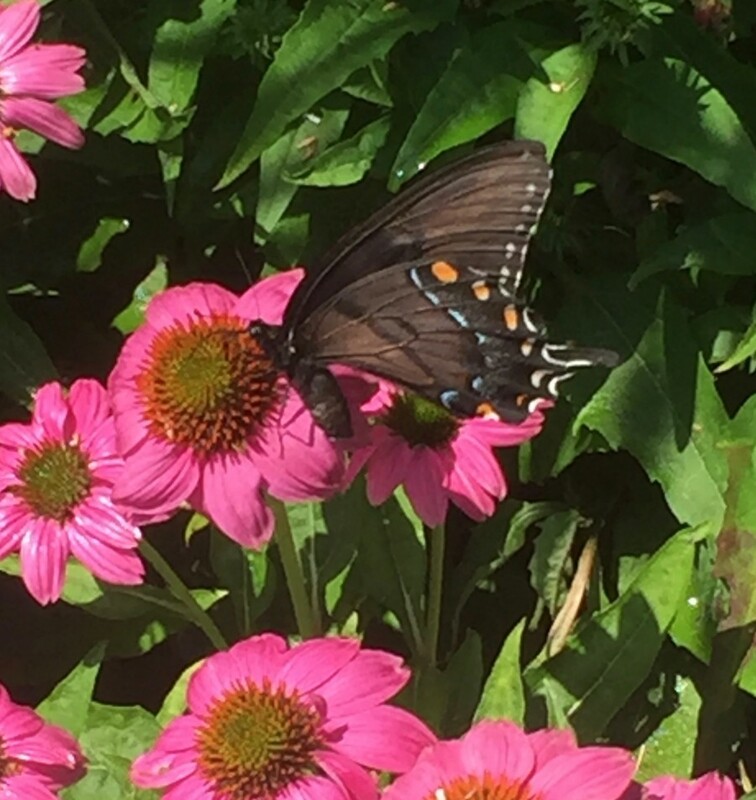 Echinacea are a native herbaceous perennial that do very well here in the Cincinnati area. Coneflowers do best in a full sun location that is not too wet. They like the Cincinnati soil, and once established are very low maintenance. They come in many different colors, from Pow Wow White to Cheyenne Spirit (pink to orange) to Red Hot Poker (Red) and Green Gem (funky Green flowers). They are bright, and bold and are a highlight of any garden. Some varieties are tall, beefy plants for the middle of a border, and there are also shorter growing varieties. 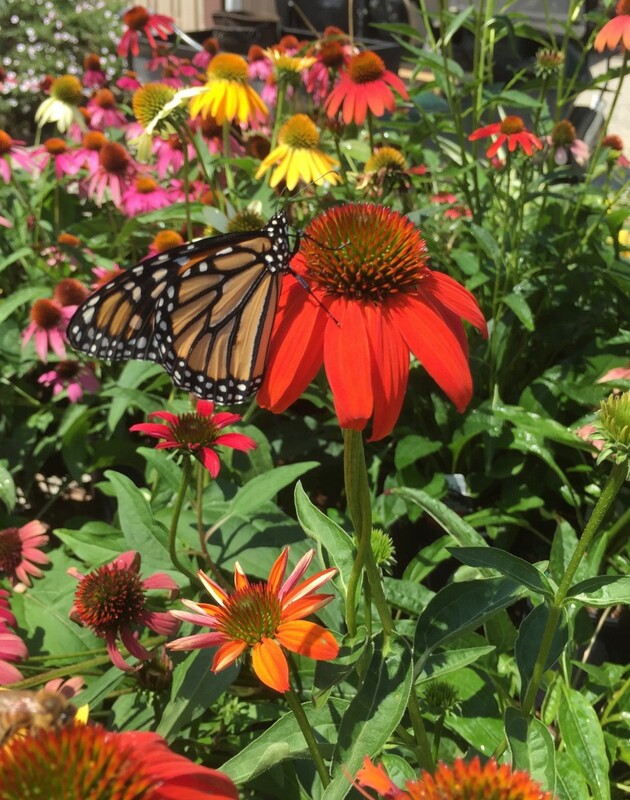 They are a favorite of bees, butterflies and skippers, and are a vital part of any pollinator garden. Check out the list below to see some of the great varieties were are growing for 2017! I must admit that I do not have a favorite variety, I love them all. With all of these choices, we can help you find the perfect one to spice up your garden bed!